Asked to name a piece that uses sounds recorded from nature, many would think of Respighi’s Pines of Rome and the nightingales that end its third movement. Locals especially might remember the calls of the shore lark and whooper swan in Einojuhani Rautavaara’s Cantus arcticus, which the Akron Symphony paired with Pines in a Planet Earth-themed concert last March. Here’s another one that’s even more technologically ambitious. 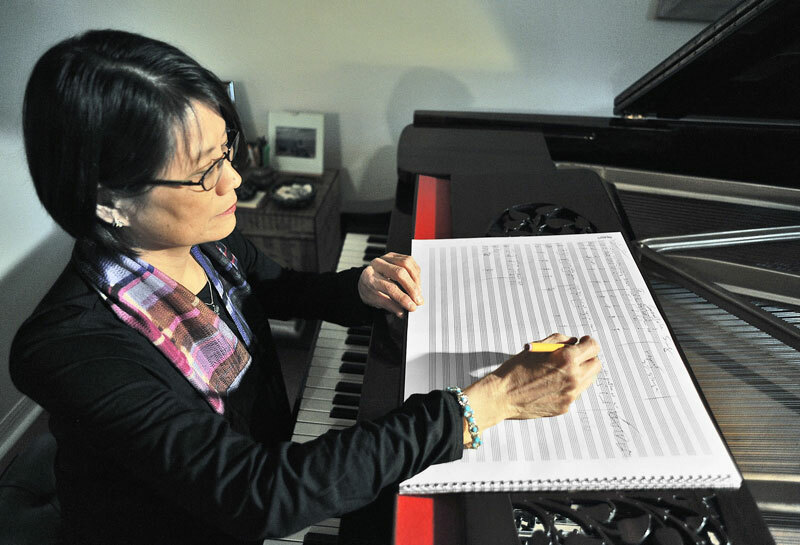 Stella Sung’s Oceana was premiered by Christopher Wilkins and the Boston Landmarks Orchestra last summer, and will receive its Northeast Ohio premiere in the hands of Wilkins and the ASO on Saturday, February 9 at 8:00 pm at E.J. Thomas Hall. Oceana was inspired by the issue of ocean noise pollution — like from seismic testing and large ships — which disrupts the ability of many animals to communicate, navigate, and find food. Meshing orchestral sounds with those of whales, dolphins, seals, and other animals, Sung penned an ode to oceanic ecosystems and their importance to all forms of life.